With a resolve to “end AIDS” by 2030, the US Embassy held a panel discussion on the auto-immune disease at the American Center Library here. Mary Kay Carlson, deputy chief of Mission at US Embassy, said India saw a decline of 32 per cent in number of new infections of AIDS virus in 2015 compared to 2007. 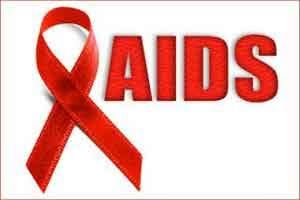 C.V. Dharma Rao, Joint Secretary of National Aids Control Organisation (NACO), said the fight against AIDS started in India way back in 1992. “In the last 25 years, the AIDS control programme has grown and the number of new infections have been brought down by 32 per cent and AIDS related deaths by over 50 per cent. “No other country in the world has been able to achieve that,” he said. Rao added that still more than one million people suspected to be infected by AIDS are undiagnosed. “People need to come forward and get themselves tested so early treatment could be provided,” he said. Titled “Ending AIDS by 2030: Test and Start treatment”, the event was organised in collaboration with the India team of the US President’s Emergency Plan for AIDS Relief (PEPFAR). Public health specialist Sukarma Tanwar said there were new technologies like antiretroviral drugs which lower viral load in patients so that the disease does not get transmitted. “However, HIV prevention should be delivered as a comprehensive package including bio-medical interventions, behavioural interventions and infrastructural interventions to effectively deal with AIDS,” he added. Simran Shaikh from India HIV/AIDS Alliance said that there is a need to implement early testing and for reducing the stigma attached to HIV treatment.